Head over to the amazing Vegan Womble blog to see a massive list of vegan baking ingredients! Cereal bars just got yummy for vegans! 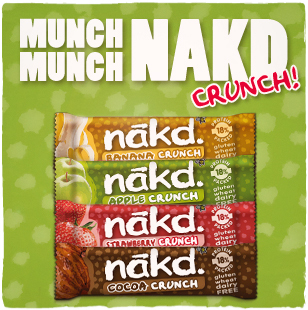 Nakd bars are nutritious, and made from all natural ingredients such as fruits and nuts which are ‘smooshed’ together into a handy bar. They are wheat and dairy free, with no added sugars or hidden extras. Recipe – Banana Pound Cake out of the box! 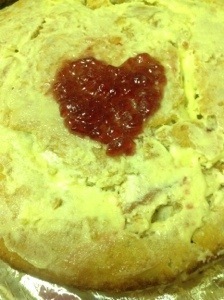 I wanted something sweet, but we’re all outta Soy Milk – which means no pancakes! Boooo! 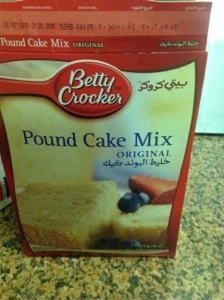 So I raided the cupboard and found an old Betty Crocker Pound Cake mix. I know its not really a recipe – and sorry for all you Delia’s out there who would whip this up from scratch with no problem, but as I said, after a long days work I needed a quick fix and this seemed like the best option with minimal ingredients. Empty the sachet into a large bowl with 180ml of water and mix. The pack now ask for 2 eggs – but here we mush two browning bananas in a bowl until they’re all squishy and then add them to the mix. Stir together thoroughly – depending on how much you mush your bananas your going to see some lumps in your mixture – this doesn’t really bother me as it means pockets of yummy banana moisture coming my way! Divide into two Victoria sandwich tins and put in the oven at 175 to cook – the recipe says cook for 35-40 minutes, but because it has no egg or dairy I only cook for 30 – 35 as the bananas natural sugars will burn easily. 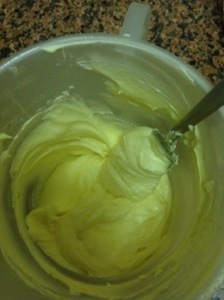 Whilst you’re waiting for your cakes to cook, whip yourself up a yummy filling by making vegan buttercream! 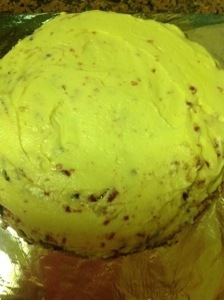 Now all you have to do is wait for your pound cake halves to to cool then add the buttercream and a layer of Jam – I used Raspberry. 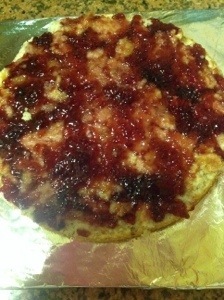 Easy peasy and super tasty!